How can you compete in multiple offer situations? Here are a few of our top tips. 1. More money. It’s that simple. Money talks. The sale price isn’t the only place where you can make a strong financial stance. Consider increasing your escrow deposit or option fee. Committing more money up front will show sellers that you’re serious. If you’re hesitant at offering full price, how would you feel if you lost out on this home by $1? 2. Write a letter. Beyond the basic agreement of sales paperwork, include a letter explaining why you’re so passionate about buying the home. It can definitely help you stand out from the crowd. Telling the seller about you, your family, and why you love the home might help build empathy with the seller. Letters are especially effective when a seller has an emotional connection to the property. 3. Keeping financing clean. Where financing is concerned, buying with cash is always attractive to sellers when you can afford it. You don’t have to deal with a lender, appraiser, or anything else. However, cash isn’t an option for everyone. If a mortgage is a must, make sure you can provide a pre-approval so that sellers know you’re vetted by a lender. 4. Buying a home as-is. Agreeing to buy a home “as-is” releases the sellers from the responsibility of making any repairs. That’s why it’s a very attractive option for them. Keep in mind that buying a home as-is doesn’t mean you have to forgo inspections entirely, but you’ll only be able to use them for informational purposes. 5. Have your agent make a call. Their job is to make sure your interests are communicated to the seller throughout the negotiation process. 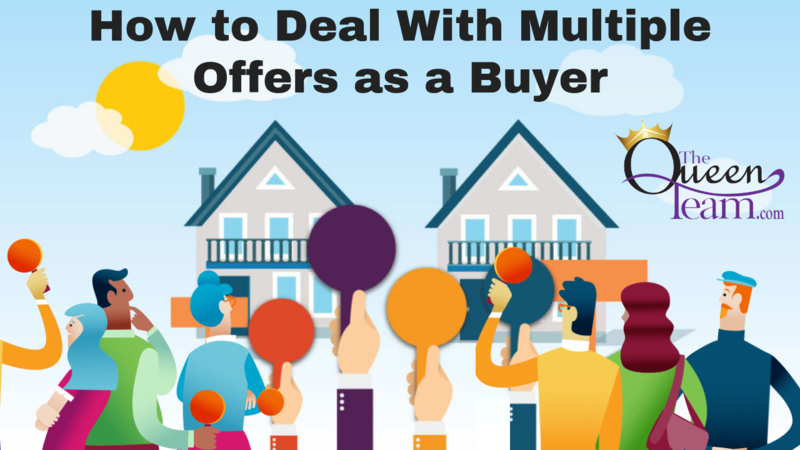 When you’re competing against multiple offers, knowing what the seller wants to see can be a big advantage.